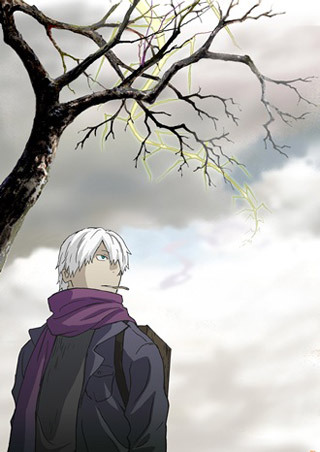 Mushishi has returned! After the well-regarded first season in 2005, many didn't expect to see any more of Ginko's adventures, but we're glad to be wrong. Nearly 9 years later, we're getting to watch a second season of Mushishi, covering the rest of the manga. If you're already a fan, you probably don't need any encouragement to head over to Crunchyroll right now. 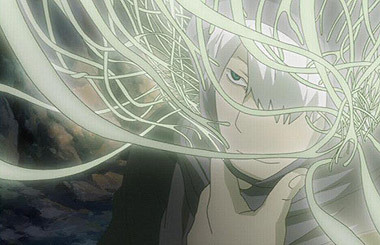 If you haven't yet jumped into the world of Mushishi, let us tell you all about it. 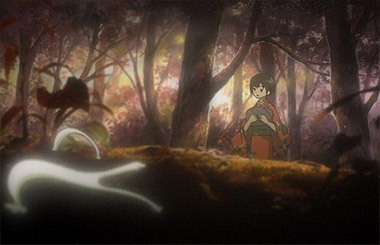 Mushishi is set in a vague, imaginary time between the Edo and Mieji periods. You're never given a solid date or year, leaving the timeline as ethereal as the main character, Ginko. This traveling medicine man drifts from place to place, meeting people and curing them along the way. He's not into traditional medicine, though: he's into mushi. Mushi are creatures that exist between the real world and the realm of the spirits. Often unseen by the average person, but can have very real effects on them. 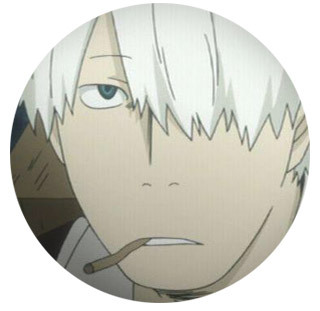 Ginko attracts mushi wherever he goes and is constantly smoking to keep the mushi away. He encounters different mushi every episode, either learning something new or helping someone else learn. This show is episodic, meaning you'll hardly ever meet the same people or mushi more than once. It really feeds the journey and travelogue stylings of the series. 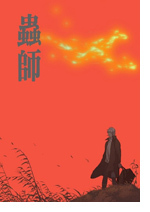 Mushishi: The Next Chapter picks up from season 1, but you don't have to watch the previous series first. It'd certainly be helpful (and it's a fantastic 1st season in its own right, so we recommend it anyway), but you can jump into season 2 easily enough due to the show's episodic nature. Season 2 is also split into two segments with a special episode in the middle, so don't miss that during your binge streaming! 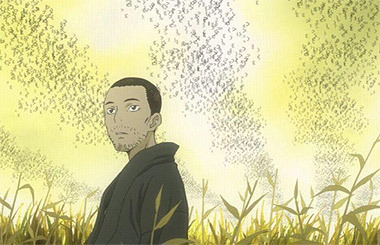 Most striking about Mushishi is its remarkable ability to tell an engrossing story in the span of roughly 20 minutes. In "Beneath the Snow," we're introduced to a boy who is perpetually surrounded by falling snow, caused mainly by his regret over the death of his sister. 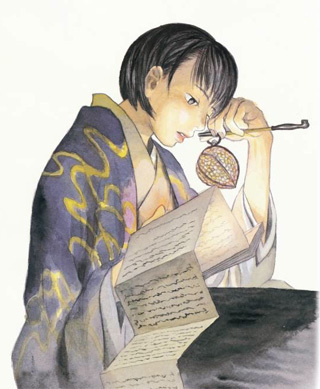 The mushi themselves are often not the cause of the problems, per se, but instead a vehicle for a person to overcome their grief (or other issue in their life) and grow. Ginko himself often only gives a little push to help them start their journey. The melancholic style of the show is aided by the well-done animation. Little movements and simple animations that add to the emotion of the characters is a big element of that, as well as the occasional fast-paced scene. Perhaps most striking is that all the mushi are animated on the ones (aka, a frame of animation is done for all 24 frames per second), making them feel truly unearthly as they float and move around smoothly. 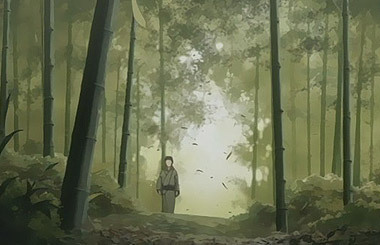 The artists' dedication and love for Mushishi shows through in almost every scene. The background art is also of note: beautiful painted forests, wide green mountains, and sparkling blue streams make up much of the grogeous environments. You might find yourself wanting to print them out and frame them! Lastly, we should also mention the music. From the lilting chimes and cymbals in the background, to the soft guitar of Lucy Rose's Shiver, the music is pitch-perfect for the mood. Mushishi is one of the few shows that comes close to being "perfect." You can nitpick minor details, and occasionally individual episodes don't hold up, but taken on a whole, Mushishi hits its mark. It's a gentle, melancholic, beautifully-done show that feels like a warm blanket on a cold day. Grab a cup of hot cocoa and cozy up to watch Mushishi: The Next Chapter, because this is one of the best anime this year, and possibly ever. 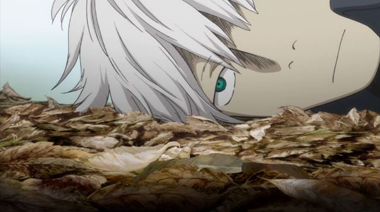 Although it sounds like the popular early-80's toy Monchichis, Mushishi is actually a deep, insightful and thought provoking series that will take you places few anime have dared. For starters, it's not your typical anime by any means. There are no robots, scantily clad babes, explosions or gunplay. There are no alien princesses, catgirls with swords, ninjas, gallant thieves, or cool-as-ice bounty hunters. What there is, however, is gobs and gobs of incredible artwork. Eye-popping, mind boggling, like, you actually want to watch anime for the first time in HD, kind of artwork. 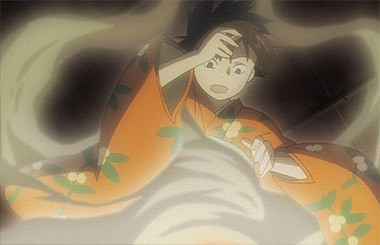 Most humans cannot perceive Mushi and are oblivious to their existence, but some can see and interact with them, this sometimes causes them problems, and the episodes often revolve around Ginko aiding these people during his travels. If you're ready to take a step up to the next level of anime appreciation, we highly suggest Mushishi. It'll be trippy, it'll be cosmic, and it'll be the best anime series you get to see this year. It'll also be the best looking anime series you're likely to come across for quite some time. The Japanese have made some of the best horror films of the last decade (and Hollywood has shamelessly made poor-quality remakes), and clearly, some of that has rubbed off into this film, as the CGI Mushi are the stuff nightmares are made of. This film corresponds with chapters 2, 7, 9 and 15 of the manga, but, oh, is it ever effective at creeping you out. Do not watch alone and in the dark! Joe Odagiri does an admirable job as Ginko, with the film ping-ponging between his current life as a Mushi-shi and a retelling of how he came to have the white hair and green eye, his childhood incidents and then how these events impact him in the finale of the film. As a side-note, this live-action feature is directed by Katsuhiro Otomo of Akira fame (yes, the same guy! ), so it needs to be said that Otomo is a man of many talents as this film is both beautifully photographed and remarkably effective at scaring the bejesus out of you.